UCMC offers your attention short translated version of the Frankfurter Allgemeine article from July 24. 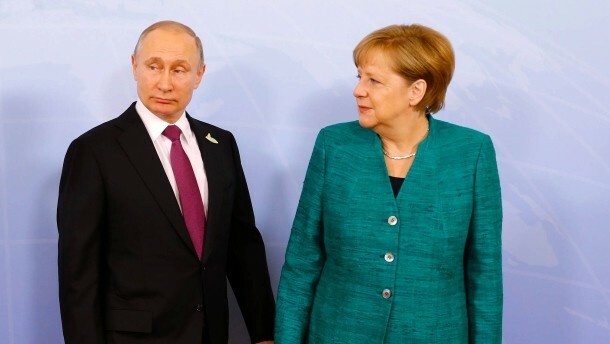 Berlin is considering the possibility of new sanctions against the Russian Federation because of the gas turbines that were sold by Siemens, and against the agreements at the highest level, got to the annexed Crimea. Since 2014, the European Union has warned its companies not to enter into business relations with firms related to Crimea, because of the Russian annexation of the peninsula and Russia’s role in the events in eastern Ukraine. We remind you that over 10,000 people have already died in the conflict zone and that hostilities are still ongoing. The West applied sanctions against individual citizens of Russia and Russian firms, and limited cooperation with the aggressor country in energy, arms and finance areas. As of today, sanctions have been announced up till September 15 of this year. From time to time, new entities are added to the sanction list. New sanctions can be applied against workers of the Russian Ministry of Energy and against the company that transported turbines to Crimea. This issue can be discussed at the European Union meeting on Wednesday. It is worth noting that the government spokesperson Ulrike Demmer ordered Siemens to verify its existing agreements on compliance with the current sanctions against Russia. Siemens considers itself a victim of its Russian customers. The concern has already announced its non-participation in the Russian company Interautomatika, which offers products and services for control systems of power plants. Besides, Siemens plans to terminate the power plant equipment supply license agreement with the Russian company. As to the existing contracts with Russian customers controlled by the state, Siemens intends to stop supplying equipment for power plants. The concern is promising to control future deliveries and from now on to install the equipment in person, by its own employees. “Siemens received reliable information about the fact that all four turbines delivered for the Taman project in the summer of 2016 were locally modified and not withstanding the clear contractual arrangements were illegally transported to Crimea,” the concern stated. The concern did all in its power to prevent that and confirms its proposal to buy the equipment back and cancel the original contract.